Lately, there’s been quite a lot going on in the world of PC rally gaming. The second quarter of last year was marked with the appearance of the amazing Dirt Rally which recently left the Early Access program, is now available as final product and is also coming to consoles in April. Then there was the next installment of the WRC games series, this time made by an entirely different developer. Sadly, WRC 5 was a real disappointment, as the game was pretty bad. 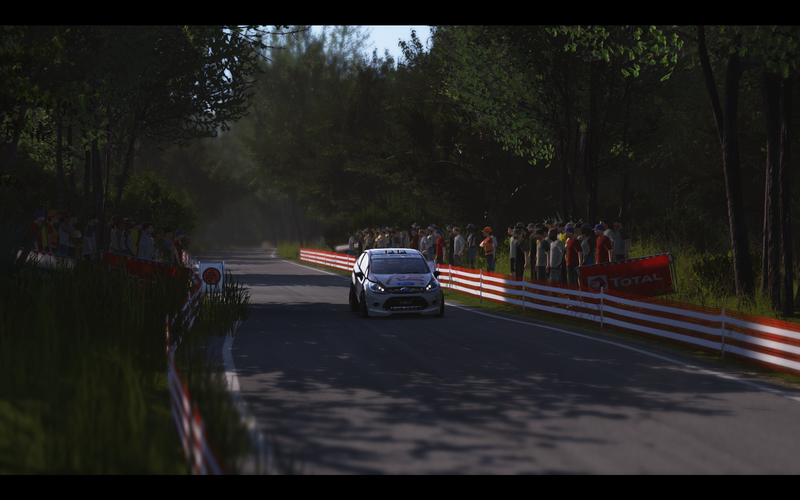 And now, the final three of the current rally sims was released – meaning Sébastien Loeb Rally EVO by Milestone, who were also responsible for all of the previous four WRC games and who also don’t have the best reputation within the gaming community. And looking at the reactions on the release, that fact is pretty obvious – should the potential buyer decide solely based on what the people on the internet are saying about SLRE, he’ll probably avoid anything SLRE related entirely. But would that be justified? In my opinion (as you can probably guess), not really. Before diving in further into this post, though, please note that the opinions stated are entirely my own and that the majority of people coming to miscellaneous internet forums would stronly oppose them – though it also needs to be said that a big portion of said people tends to express their opinions in a rather…how to put it exactly…simple way? In any case – consider yourself warned. Maybe my views on SLRE are completely off.